Grain elevators at Glenside, SK, Jan 2007. Copyright by Gary Rich. 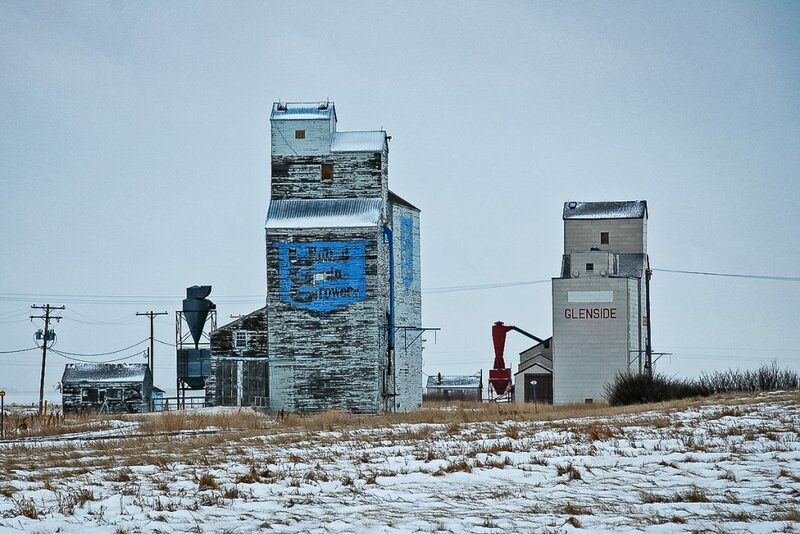 The town of Glenside, Saskatchewan has two wooden grain elevators. One is an ex United Grain Growers elevator, still bearing faded blue UGG “shields”. 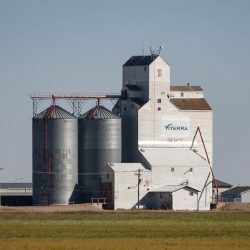 The other is an ex Saskatchewan Wheat Pool elevator. 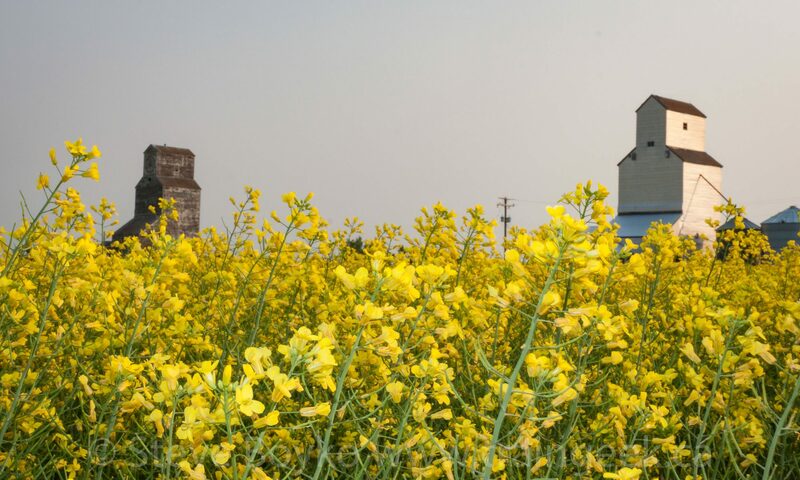 There was a twinned Pioneer grain elevator in 1980 (Hans Dommasch photo) but it was demolished between 1987 and 2007. In 1987 there were four grain elevators in Glenside. The Canadian Pacific Railway built through the area in 1908 and the post office was established the following year. The rails were removed and there is no railway through the town any more.